– Offers clothing, balls, holidays and news. Golf Society and corporate days. Golf Tournament reviews. 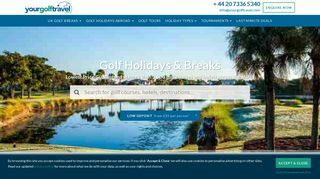 Also course directories for UK, Spain, Ireland and Portugal, tips and competitions.